Head to this uptown neighborhood for lush green zones like Rock Creek Park, animals galore and great brunch spots. Originally developed as streetcar suburb or escape from DC’s legendary heat, Woodley Park stars historic appeal, leafy attractions like the National Zoo and a host of cool restaurants and bars. 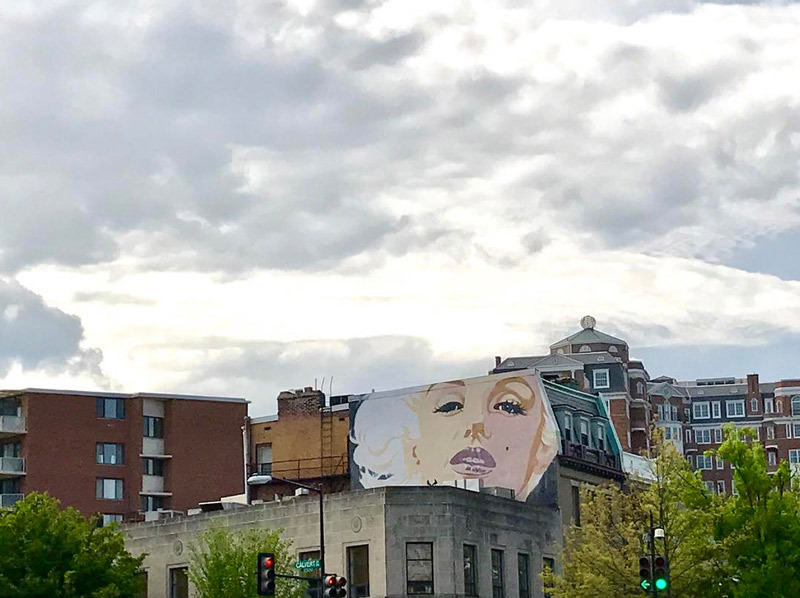 Marilyn Monroe, well, a jumbo wall mural showing the legendary starlet’s face, stares out at traffic and passersby from a building wall at Connecticut Avenue NW and Calvert Road NW. It was commissioned decades ago by the owner of a hair salon in the building to honor his partner’s birthday. Have your cake on a stick, and eat it too, at this brightly decorated bakery near the Smithsonian National Zoo. Cakepops in flavors like gingerbread, lemon and red velvet may be the biggest draw, but the spot also sells other sweet and savory offerings like bagels and cookies. All products are kosher and nut free, and some treats are gluten-free as well. This restored 1936 Art Deco-style movie theater shows first-run movies on its grand, 70 foot by 40 foot curved screen, one of the biggest in the area. Old-timey touches include a popular balcony (the views from the seats are stellar) and a retro ticket booth out front. Explore Rock Creek Park's 32 miles of urban hiking and biking trails on foot or via wheels rented from a Capital Bikeshare station (there’s one near the back entrance of the zoo). Bridges cross the narrow, rock-filled creek, and there are tennis courts, picnic areas and a nature center to explore. 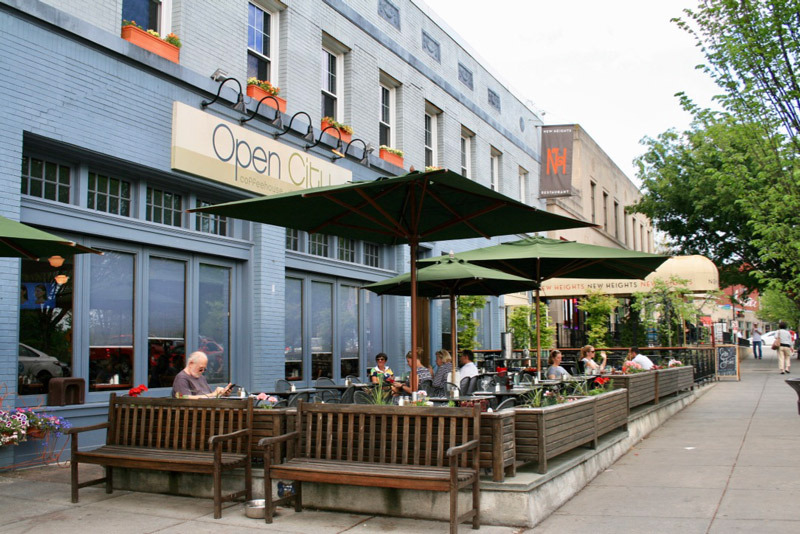 Woodley Park houses diverse cuisine from a multitude of restaurants, many with outdoor spaces. Choices include Lebanese Taverna for garlicky Mediterranean fare, the French-focused Petits Plats, and District Kitchen for Mid-Atlantic comfort food. In mild weather, check out Open City’s patio for brunch loved by locals, or head to the wine-focused Ardeo+Bardeo. DC’s giant pandas eat bamboo, frolic and sleep in roomy digs on the Smithsonian National Zoo’s western end. 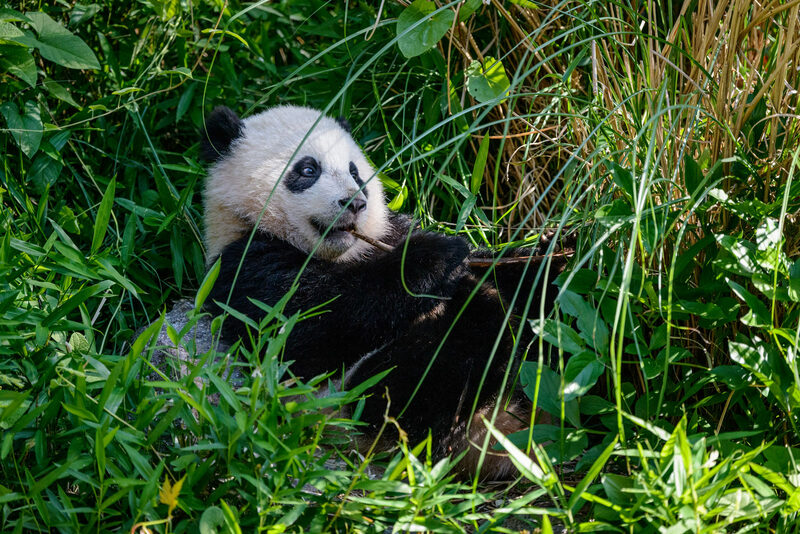 A Giant Panda Cam assures peeks even when the animals are out of view and frequent ranger talks detail the habits and preservation of these popular Chinese mammals. 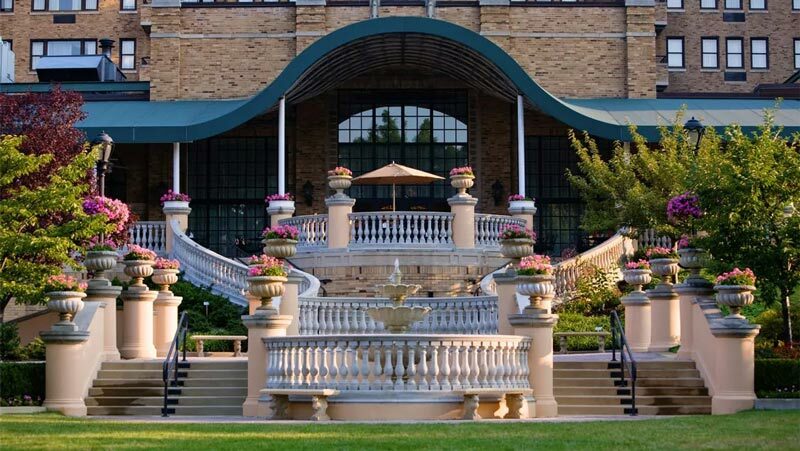 Even if you aren’t staying at the historic Omni Shoreham Hotel overlooking Rock Creek Park, you can indulge in a massage or facial at the spot’s plush spa. Treatments include access to the hotel’s state-of-the-art health club and a jumbo outdoor pool. Once you're done exploring Woodley Park, check out nearby Upper Northwest or discover your next adventure in one of the District's vibrant neighborhoods.